The American Theatre Critics Association (ATCA) has selected Rebecca Gilman’s Luna Gale as the recipient of the Harold and Mimi Steinberg/American Theatre Critics Association New Play Award, recognizing playwrights for scripts that premiered professionally outside New York City during 2014. 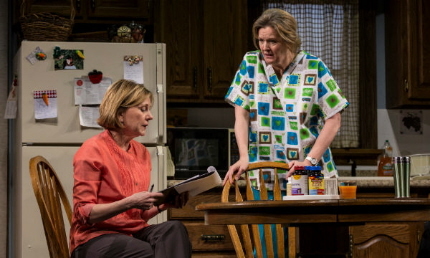 Gilman’s shattering play about the moral dilemma facing a social worker received the top award of $25,000 and a commemorative plaque during the Humana Festival of New American Plays at Actors Theatre of Louisville on April 11. Two citations that carry $7,500 each were presented to Lucas Hnath’s The Christians and Nathan Alan Davis’ Dontrell, Who Kissed The Sea. ATCA also presented the M. Elizabeth Osborn Award, which recognizes emerging playwrights, to Tom Coash of Atlanta for his play Veils.